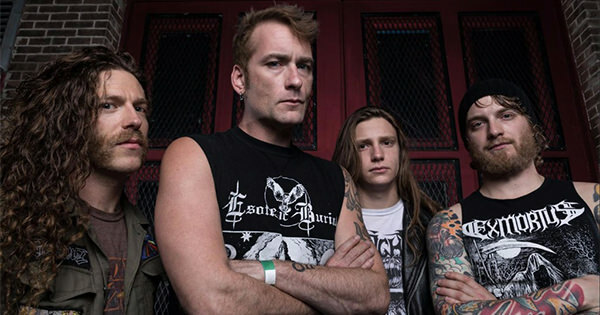 "Since the conclusion of the touring cycle for Unwelcome, myself and the members of Arsis have been busy with other projects, but I'm happy to announce that a new album is almost finished! "After returning home from a tour with Necromancing The Stone last March, I began writing for the next Arsis release and soon found myself completely consumed in the process. I don't want to make an incredibly bold statement and say something to the effect of 'it's our best effort since (insert the highest regarded album title here)' but I can say that I have not been this focused on a project since working on A Diamond for Disease. I feel that this focus is reflected in the music and I look forward to the album's completion. "We finished tracking drums last week with producer Mark Lewis in Nashville and we will be tracking the rest of the album in the coming weeks. Be on the lookout for studio videos and updates. Until then be sure to check out this pre-production video on some of our new songs that Shawn Priest put together!"